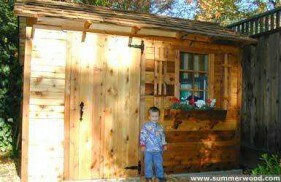 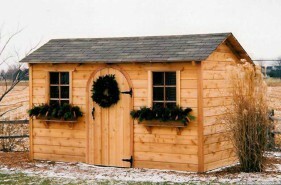 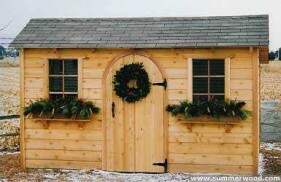 This 8x10 garden shed design in Brainerd, Minnesota is accessorized with a saltbox roof, arched door and window complete with shutters and a flower box. 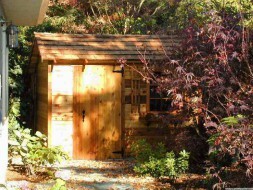 This charming workshop is perfect for you! 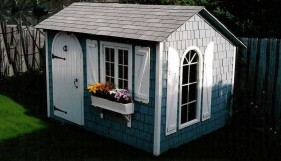 This Bar Harbor shed hails from Minnesota; a saltbox roof, arched door and window complete with shutters and a flower box gives it a New England flavour. 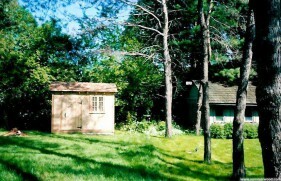 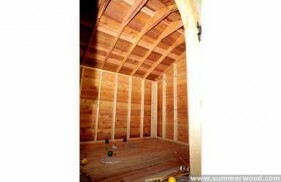 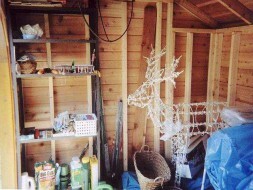 It is a perfect 8ft x 10ft workshop. 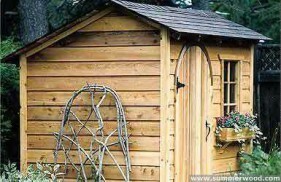 This modern Brampton shed features cedar shingle siding finish, 6-pane arched windows, double casement windows, arched door and antique flower boxes. 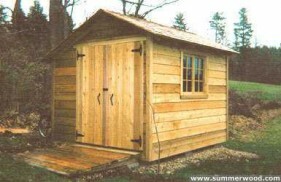 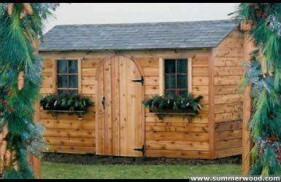 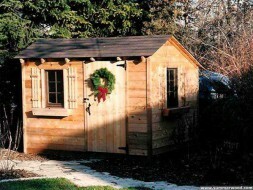 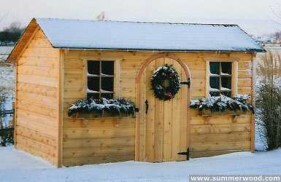 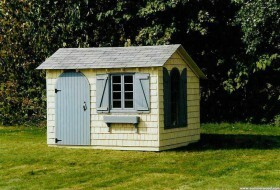 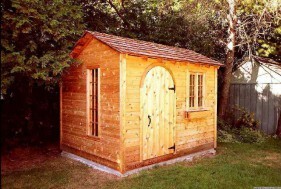 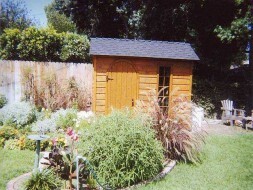 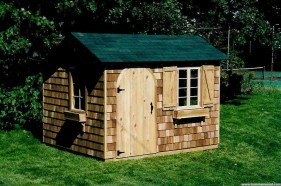 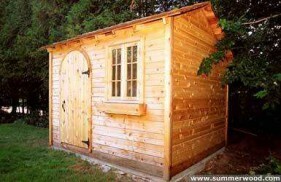 There's quite a lot of room in this 8' x 10' garden shed. 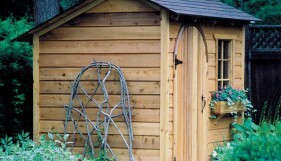 In this Massachusetts backyard sits this garden shed that features shingle siding, arched doors, standard and double casement windows, and flowerboxes. 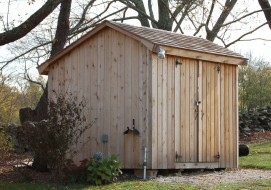 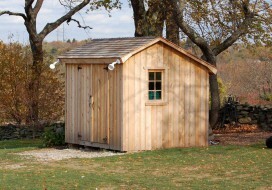 These 8x10 Minnesota Bar Harbour garden shed owners love their shed; the saltbox roof means extra height up front when you enter plus extra storage. 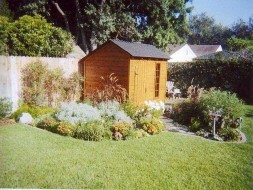 Plenty of space to start a new gardening hobby! 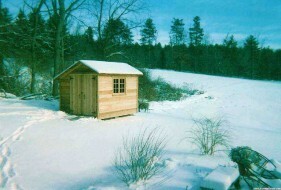 With the Toronto residence just on the other side of the tree line, you get a good feeling for just how roomy this 8x10 Bar Harbour garden shed really is. 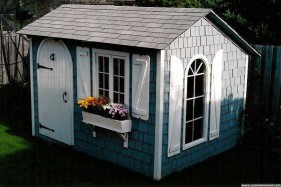 Compact and functional!